Ballybunion's Peter Sheehan closed with a 72 to win the Connacht Mid-Amateur Championship by two strokes at Oughterard Golf Club in Galway. Tied for the 36-hole lead with Athlone’s Thomas O’Connor on level par after rounds of 71 and 73, the former South of Ireland champion moved four strokes clear when he went out in one-under and then made an eagle two at the par-four 11th. 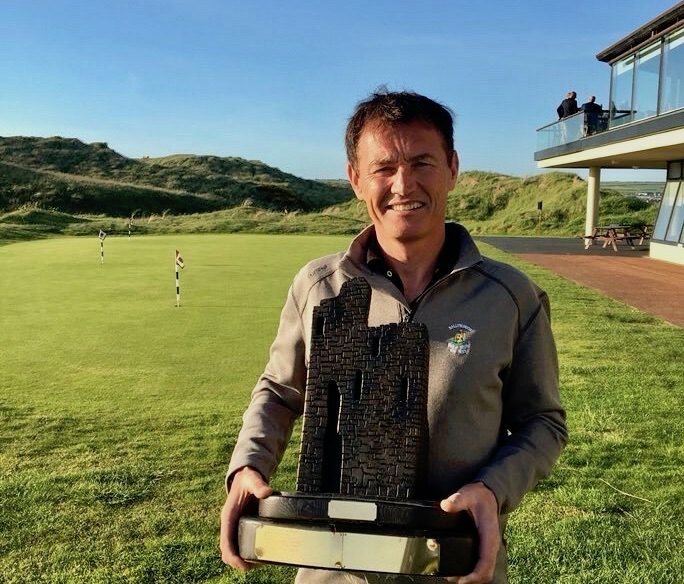 He would drop three shots coming home to post a level par 72 to O’Connor's 74 to clinch victory on level par 216, adding the Connacht Mid-Amateur title to his win in the Ballybunion Senior Scratch Cup the previous weekend. Slievenamon's Jamie Kiely was third on five-over after a 76 with Galway's Joe Lyons fourth on seven-over after a 71, edging out Mourne's Noel Crawford (74) on a countback. Galway's Damien Glynn fired a best of the day 70 in the final round to move up to eighth on 10-over.